Do we have a treat for you today! 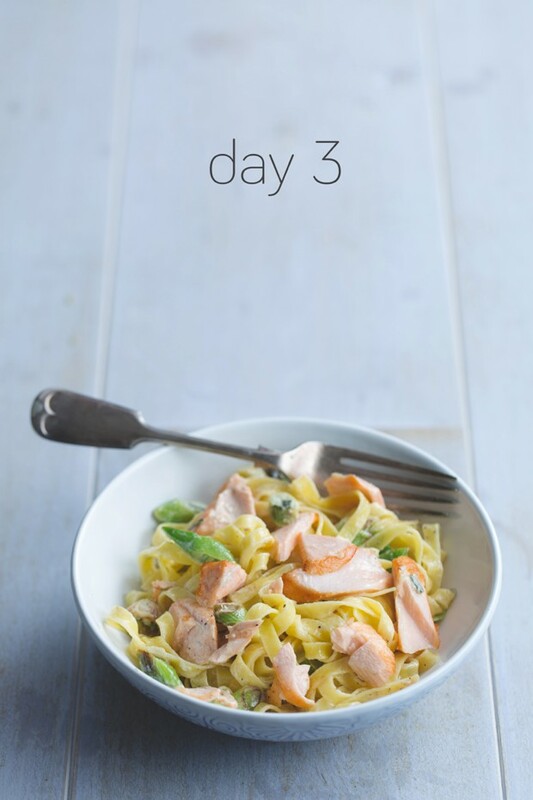 This pasta dish is not your standard student pasta… it’s super simple and super tasty! You can sometimes buy packs of small pieces of salmon, they are much cheaper and would be excellent for this dish..! . Give it a try, tag us in your pics #noshbooks and let us know how it goes on Instagram, this is a recipe from our book NOSH FOR STUDENTS…just in case you were wondering. Cook the tagliatelle. It should only take about 3–4 minutes to cook. Leave to drain. Fry the salmon in a little olive oil (if you have a small piece it should only take 2–3 minutes each side). Add the spring onions to the pan towards the end of the cooking time and allow them to brown a little. Remove the pan from the heat and gently break up the salmon. Add the cream and the chives and return to the heat. As soon as the cream begins to bubble, add the pasta and stir everything together. Allow the pasta to heat through. This should take around 1 minute.